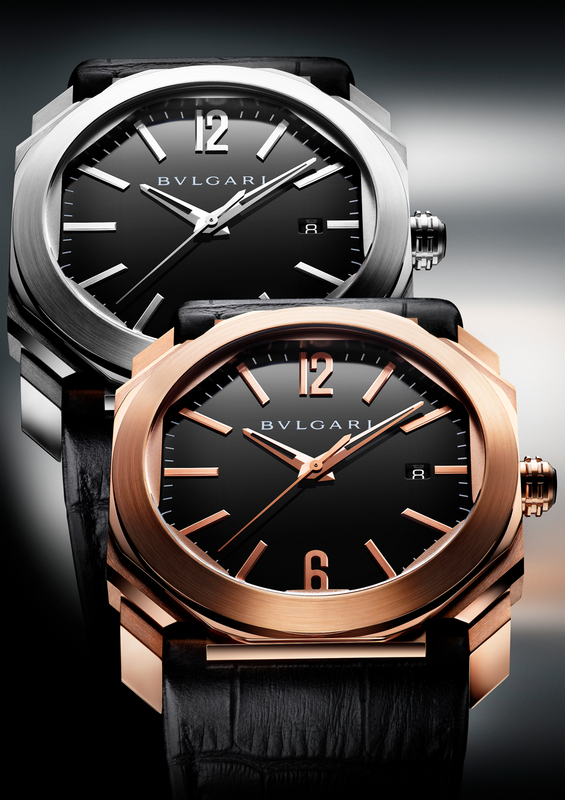 Bulgari recently introduced an all new Octo timepiece before a group of international journalists in Rome, Italy. It was an important event, as the new Octo represents the pillar of Bulgari timepieces, and a new direction for the brand whose majority stake was acquired from the Bulgari family last March by the world’s largest luxury group LVMH. 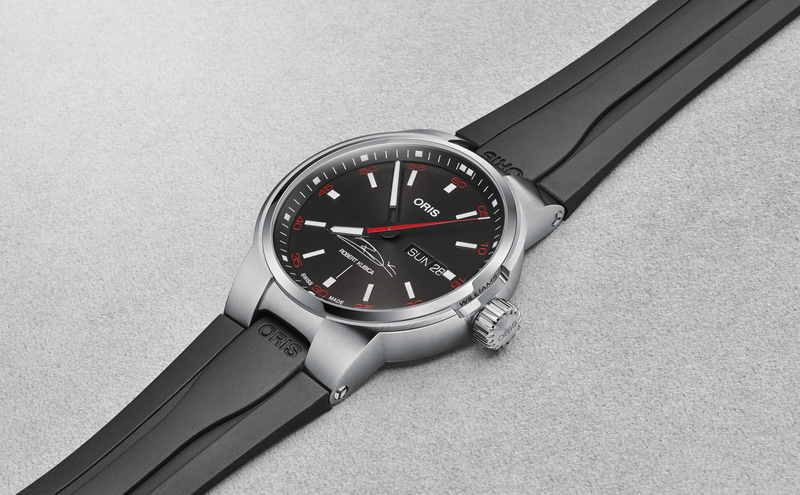 The redesigned Octo collection is sleeker and arguably classier than previous models. A new in-house manufactured case measures 41.5 mm x 10.55 mm. The case and bezel comprise a total of 110 facets, all hand-finished with alternating polished and satin-brushed surfaces. The new dial is simple and elegant, featuring a black face, with black lacquered, pink gold or rhodium facetted applied hour-markers. 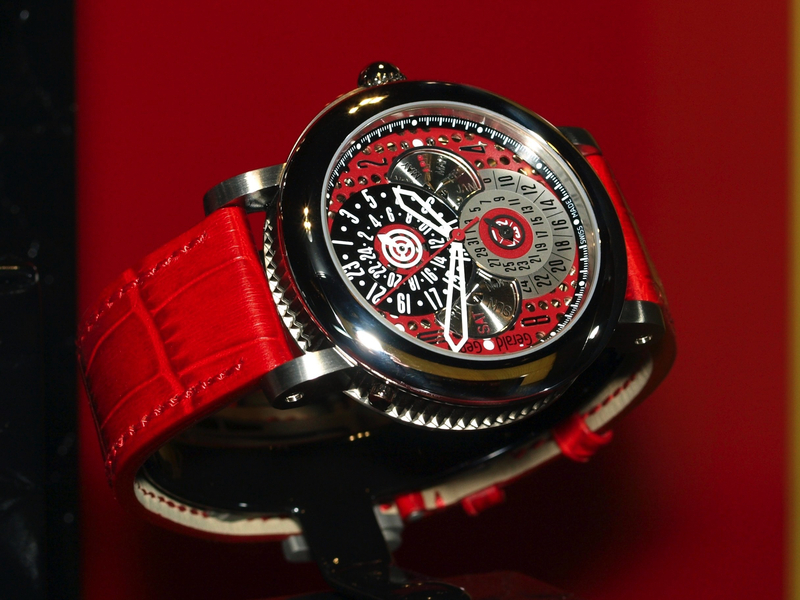 Hours, minutes and seconds are display with central hands (the hour and minute hands are skeletonized). A date aperture displays the date semi-instantaneously at 3 o’clock. The new Octo is powered by the BVL 193 self-winding mechanical caliber which beats at 28,800 vph (4Hz), has 28 jewels and boasts a 50-hour power reserve (thanks to double mainspring barrels). The movement is finely finished with: snailed bridges and Côtes de Genève motif, chamfered and polished bridge edges, circular-grained mainplate, satin-brushed wheels, polished pivots. The jewel surround features tone-on-tone diamond polish. 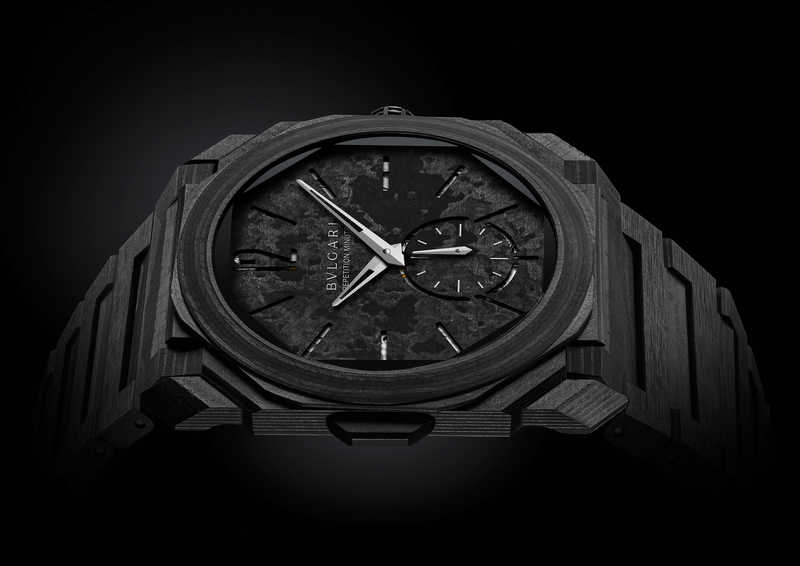 The strap is black alligator leather with a steel or pink gold folding clasp. Water-resistance is 100 meters. Next articleA. Lange & SöhneDo you know where the original inspiration for the A. Lange & Söhne oversized date display came from?